Hong Kong has probably been my favorite place to visit ever. I've blogged so much about Hong Kong that you'd probably find at least 4 entries about me being in Hong Kong. Anyway, here's another one to add to the bunch and I don't think this will be the last. The first time I visited Hong Kong was a few years ago during a trip with a few friends. They kept on telling me that I will love Hong Kong. And they were so right. I instantly fell in love with this city. From the tall buildings to the little pocket stores you'd find everywhere, I love them all. One thing that keeps on changing every visit is the camera I bring with me. I remember during my first visit, I only brought my point and shoot with me. The next one was my DSLR, and so on... For this trip, I had an instant camera. 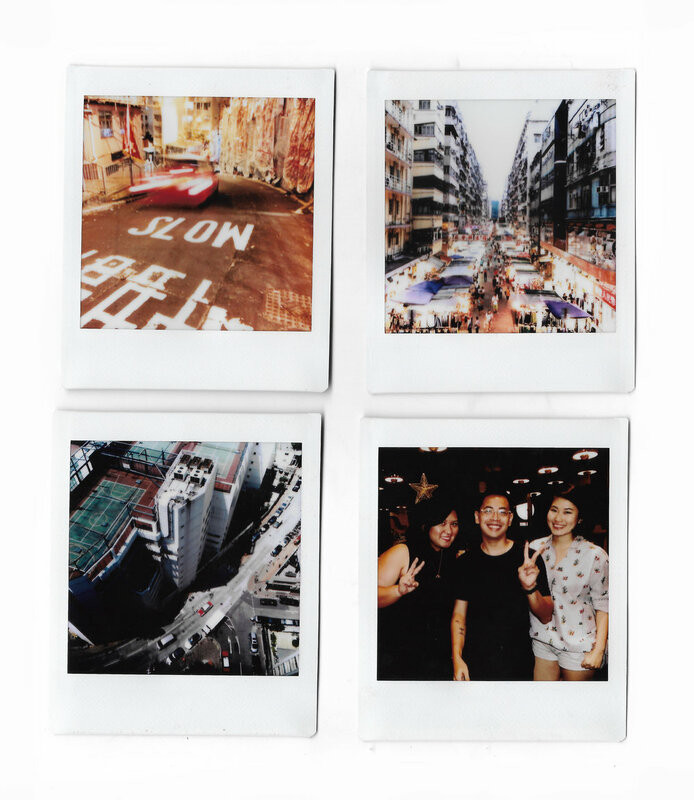 I've always wanted to challenge myself by only bringing an instant camera to a trip and writing a whole post with just photos taken with instant photos. 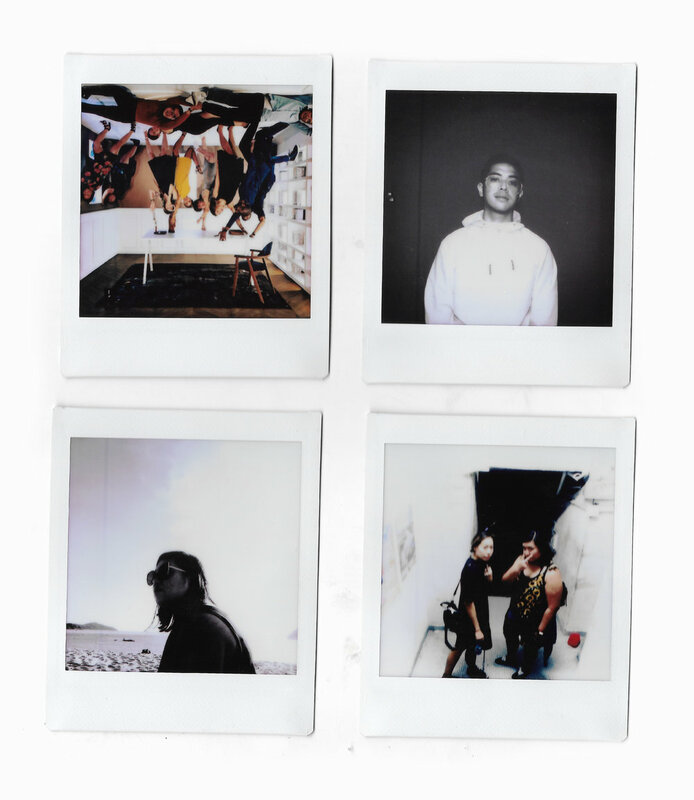 I used the new Fujifilm Instax SQ10 to take the photos. I remember being in Japan when I first heard the news about this camera coming out. I wanted to get my hands on one ever since because of its square format. There was a time when I was so into square photos that I even got myself a Lubitel166B to shoot square photos in film. I loved using it but it was pretty bulky to bring around. Anyway, I finally got myself the SQ10 last August and was so happy with it that I decided to bring it with me to Hong Kong so I can play around it more. Plus an excuse to use more film ha! I was initially planning to scan them one at a time but I am so bad at scanning and it was taking forever to scan each so I decided to group them by fours. These, by the way, are in no particular order. Top Right: This photo shouldn't be here. I just added it because it was weird if there was a blank white area during the scan. Ha! This was taken during my birthday. One of the first few photos taken with this camera. Lower Left: A random snap of Jess at Repulse Bay. Lower Right: Another random snap. Nicole had her films developed here. Lower Left: From outside Honbo. We tried fitting ourselves in two cocktail tables haha! Lower Right: Accidental photo. The thing with the SQ10 is it lets you set your camera to instantly print your photos right away after taking or print it later. What I usually do is put it on Manual (print it later option) so I can take a ton of photos and then print it all when I get back to the room. That's one of the things I like about the SQ10. Although some might say that it kills the excitement of the "instant" feel, I like how it helps me not worry about accidentally clicking the shutter and wasting film. 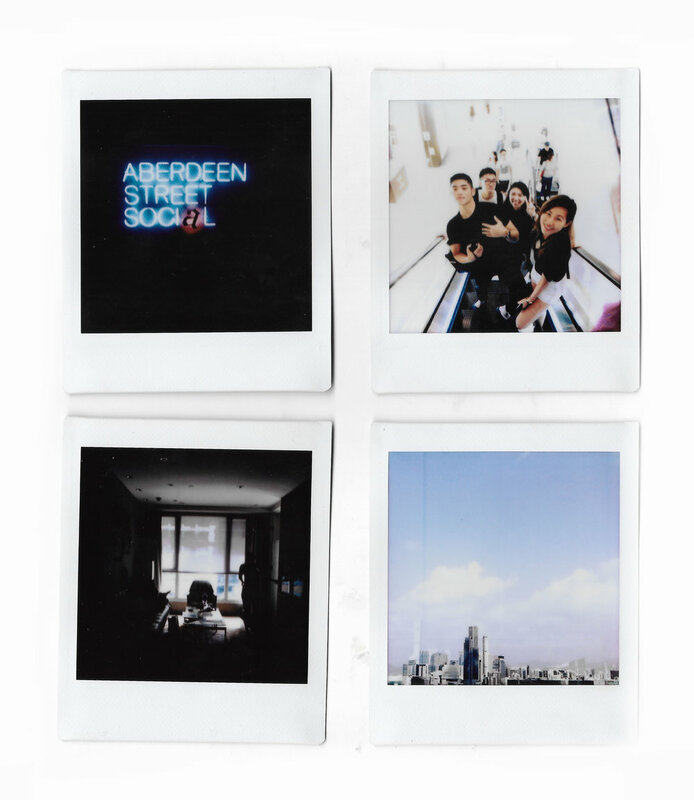 Top Right: New friends in Hong Kong: Nicholas, Irwin, & Phoebe! Laura doesn't count cause we've been friends for a while already haha! Lower Left: Beach day with Jess, Nicole, and Gill! Fun day! Lower Right: View from my room in Sai Ying Pun.